It seems that, like the Bolton Choral Society in their own chosen métier, my goal of Encapsulating the Intricacies of the oeuvre of Flann O’Brien recedes ever further. Imagine: you’re better than James Joyce; you end up like Miles Kington. I take the point, but for many fellow-Flanneurs it may seem beside the point. His oeuvre is Sue E. Generis (if Myles didn’t say that, then it must have been me), self-standing—which, allegedly, is more than he was. His interest soon shifted to a suggestion of mine—the All-Purpose Opening Speech. This was to be one endless sentence, grammatically correct, and so devoid of meaning that it could be used on any conceivable occasion: inaugurating a President, consecrating a Cathedral, laying a foundation-stone, presenting an inscribed watch to a long-standing employee. This notion delighted him, and he decided it must be given to the world, translated into every known language. If nation could speak fluently to nation, without any risk of communicating anything, international tension would decline. The Speech would be a major contribution to civilization, enabling any inarticulate lout who might lever himself into power to emerge (after a brief rehearsal) as a new Demosthenes. I was to make the original draft in English. Denis Devlin was to undertake the translation in French and Brian himself would do the Irish and German versions. When the translations had been completed we had a reading in Devlin’s home. Any rubbish can be made to sound impressive in French, and Denis had produced a superb version, rhythmic, mellifluous and authoritative. It conveyed (to our delight and amazement) even less meaning than the original. Brian (who delighted in the simplest sleight-of-hand) whipped a walrus moustache from his pocket, fixed it under his nose and read his Irish version, in a wickedly accurate impersonation of our Professor of Irish, Dr Douglas Hyde, later the first President of Ireland. “What do you think of that?” he asked, looking from one to the other. Denis told him that he admired his brio but deplored his occasional slurring of consonants. I told him that listening to his delivery was like wading through warm stirabout at one’s feet. Undeterred by this mixed reception, Brian quickly replaced the walrus moustache with a toothbrush affair and poured out his German translation in imitation of Hitler at a Nuremberg rally. As he ground out the Teutonic gutturals, spitting and snarling in comic menace, he knew that he had made the hit of the evening. Actually, if the speech wasn’t already in use then, it has since become entirely standard. Talking of inarticulate louts levering themselves into power, this seems all the more necessary in our own fractured age. And vis-à-vis my own Catechism of Chinese Cliché, must I now gird my loins for a Chinese version of their fine creation? The two Ritual and music books are all the more worth snapping up for their accompanying DVDs—the first makes useful background for my film on Li Manshan. 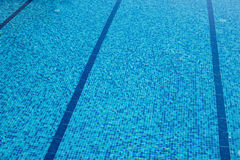 Sometimes on early morning swims I have the pool to myself for a while. This is as good as it gets. As I swim, I think of Bach, and Daoist ritual [unbeatable Pseuds’ Corner entry—Ed.] Some aspects of swimming may intermittently involve the brain—like in crawl, concentrating on getting the hand shape right as it enters the water, pushes forwards, and starts to pull back; aligning the pull-back of the arm with the body, and so on. In Daoist ritual, far from the cerebral, conceptual, philosophical, or spiritual learning of texts, physical memory plays a major role—motor movement, muscle- and (for sheng, guanzi, cymbals) finger-memory, the body; internalizing through ritual practice, experience, starting from young, like boys in any hereditary folk tradition such as the Li family Daoists. Learning violin pieces is more of a private affair. Apart from physical practice, I’ve always internalized them silently too—while walking, dozing, swimming, and so on. Even away from the instrument, it’s a physical exercise: my fingers are always moving—like those of guanzi oboe players in north China. This has always accounted for quite a lot of “practice”—for me, anyway. I didn’t get where I am today. But so much learning consists of simple repetition. I note that in French and Italian the word for rehearsal is répétition/repetizione. Conversely, might we interpret our “rehearsal” as putting into yet another conveyance for a coffin?! So while swimming I engage the mind for a while and then empty it to let my body take over. Yay! (Am picking up the lingo.) Bridget Christie’s second series of Mind the gap is on radio again! I’m not even going to try to compete by means of a new series of chapters on Daoist ritual manuals and performance. She’s wonderful. Stellar Stella would be delighted. Of course my usage (like much convoluted Oxbridge-speak) is partly satirical—but only partly. During the Cultural Revolution there was a famous slogan, “The happy Chinese people are deeply solicitous for the American people, who live in desperate plight”. Experience tells us that the standard of living of the American people living in desperate plight far exceeded that of the happy Chinese people, and that the American people living in desperate plight didn’t seem to need the concern of the happy Chinese people. Under the theory of the great class struggle, tens of millions of happy Chinese people starved to death. Again, when I use the phrase “waters deep, fire raging” about life in the UK or the West, I’m not being entirely satirical. It partly ties in with that “typical” English self-deprecation, and as the above quote shows, the irony of applying it to the USA can have been lost on few Chinese, even under Maoism. But the expression can be genuinely useful—it is worth reminding some Chinese people (who may still have a rose-tinted view of life in the “Western paradise”) about homelessness, alienation, strains on social care, and so on. If we can be honest about our problems, perhaps China can be too—let’s dispense with the platitudes. Anyway, “waters deep, fire raging” never comes in so handy as now—to describe the current turmoil, with civilized values widely threatened. Finally its time has come. Still giggling at Stella’s resumé of The Flayed, I must just return to celebrating the original Cold comfort farm. Then there’s the herd of Jersey cows—Graceless, Aimless, Feckless, and Pointless; and Aunt Ada Doom’s regular use of the dilapidated Milk Producers’ Weekly Bulletin and Cowkeepers’ Guide to smite anyone within reach. The book also exemplifies the clash of urban and rural cultures that is a major theme of anthropology, not least for China. The Li family Daoists sum it up brilliantly in their joke after the final credits of my film. And carefully, in cool phrases, Flora explained exactly to Meriam how to forestall the disastrous effect of too much sukebind and too many long summer evenings upon the female system. Meriam listened, with eyes widening and widening. “ ‘Tes wickedness! ‘Tes flying in the face of nature!” she burst out fearfully at last. I am a used husk… a rind… a skin. 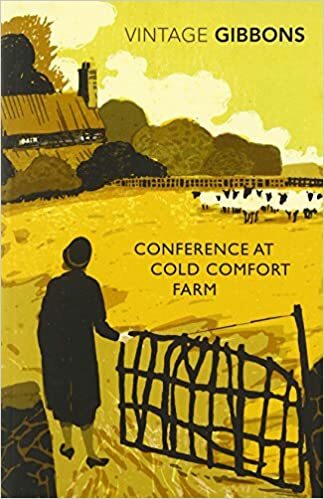 I noted that in Conference at Cold comfort farm (1949) Stella Gibbons predicted the whole Cultural Heritage claptrap. And again, long before Jo Brand, she was no less prescient about the comic potential of the pie. For the benefit of readers who are not familiar with the work of Flatte it may be remarked that The Flayed is typical of his latest and most powerful manner, and deals with the tragedy of two types named Stan Brusk and Em Wallow, living in a Bedfordshire village. Em is Stan’s girl, but he loses her to Bert Scarr when the latter comes to work in the local tanning factory. Stan Brusk is a sadist who derives pleasure from tanning hides and has twice been publicly reproved by the foreman for gloating while at work. In a powerful recitative and aria Stan defies the foreman, describes the pleasures of tanning, and at last falls down exhausted under a vat. A series of sinuous themes follows, intended to represent the smells from the vat winding over his unconscious body. In the dinner-hour Em creeps in with a pie, which she does not know has been poisoned by the fumes from the vat. Bert Scarr then enters. He and Em sing a duet, in which Bert confesses that he has always had a secret craving to be flayed like one of the hides in the factory and Em expresses her horror and scorn of him. At last she falls under the vat on top of Stan, who recovers consciousness and misunderstands her action. Em, Stan, and Bert are then overcome by fumes from the vat, and dream they are in Hell. The Weeping Skeleton’s song which follows has been said to refute, once and for all, the accusation that Flatte’s operas lack light relief. The song may not represent humour as it is generally understood, but to deny that the theme of four minor chords given out in glissando form by the first violin and repeated in fugue form by solo instruments one after the other until it ends abruptly on the drums is expressive of a rationalised and resigned humour (perhaps most akin to irony) is merely imperceptive. Em recovers first and revives Bert with a piece of the pie. The foreman comes in accompanied by a chorus of Operatives and Tanners and accuses Bert of slacking. Bert, already poisoned, and driven by his neurosis, jumps into the vatful of skins and is suffocated. Em eats some pie and dies. Stan stabs the foreman with his penknife (a present from his mother on his seventh birthday, and symbolizing her neurotic hold over him) and the foreman dies. While Stan is singing the Flagellation Song and driving out the chorus of Operatives and Tanners with a whip, his mother, Widow Brusk, enters. After she has sung an aria in which she confesses that Stan is the illegitimate son of a taxidermist who seduced her in early youth, thus accounting for her son’s sadistic obsession, Stan symbolically attempts to skin her and they both become insane. The opera then ends. It was to represent English music at the International Music Festival the following year.